Restores deep volume within the face. How does HYAcorp Face II Voluma (2x2ml) work? 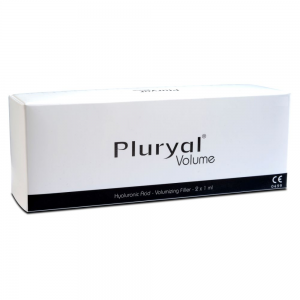 HYAcorp Face II Voluma is a highly purified hyaluronic acid gel absorbable non-animal origin. The gel sterile, apyrogenic, viscoelastic, not water-soluble, biocompatible is derived from a hyaluronic acid, which is obtained with the technique of bio-fermentation. HYAcorp Face II Voluma is delivered in a sterile disposable syringe. Each pack contains two 2 ml sterile syringes with HYAcorp Face Volume, 2 kits for softFil injections, as well as the instructions for use and traceability labels doctor / patient. The injection can be performed only by a doctor. 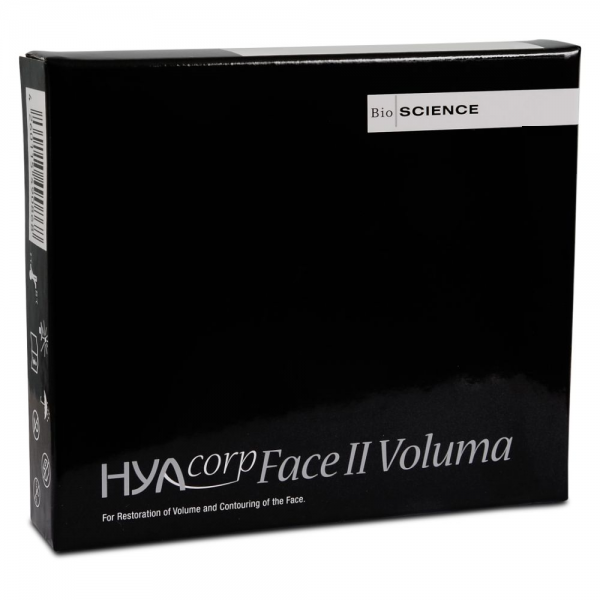 Hyacorp Face II Voluma contains a clear viscous gel of cross-linked Hyaluronic acid to help correct the volume of the face. There is a higher degree of crosslinking within this product as it is required to treat deeper folds. HYAcorp Face II Voluma is indicated for the restoration of the volume and contour of the face. 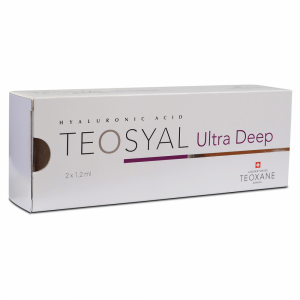 The gel is injected intradermally and swells the tissue in a natural way. What are the benefits of Hyacorp Face II Voluma?